Brighton Ford : Happy 47th Birthday to the Shelby GT-350! 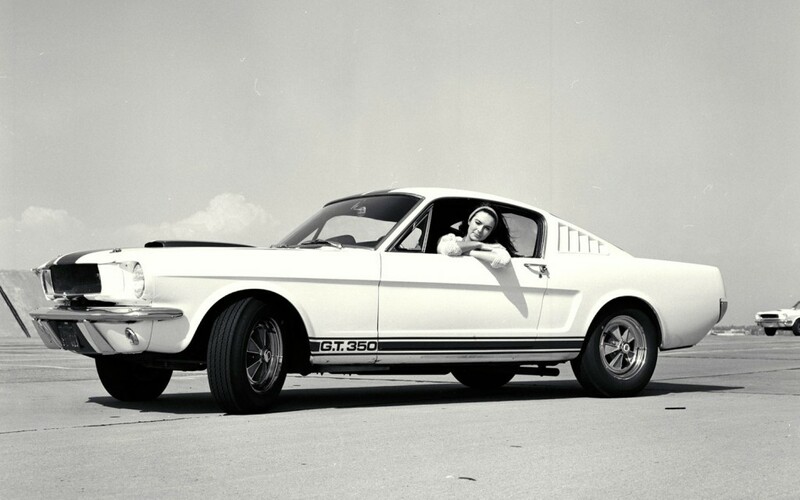 Happy 47th Birthday to the Shelby GT-350! A classic American beauty....and the girl is pretty too! Brighton, Mich., Jan. 30, 2012 – Brighton Ford wants to wish a very special happy 47th birthday to an American muscle car classic, the Shelby GT-350 Mustang. It was on January 27th, 1965 at a press event in Riverside, California that Shelby American introduced the 1965 GT-350 Mustang. Shelby American itself is celebrating the company’s 50th anniversary this year as well. During those early years, Shelby was tasked with transforming Ford’s new smash hit, the Ford Mustang, into a performance machine that would be able to compete in the SCCA’s Class B production sports car class. Some auto sources have said that the first twelve unites were built within a week, but it is generally acknowledged that the first 100 units, enough to adhere to the SCCA’s homologation rule, were built and ready for inspection by January 1, 1965. The original MSRP for the street-legal 1965 GT-350 cost about $4,547, almost $1,000 more than its counterpart the 1965 Mustang GT equipped with the K-code 289 V-8. 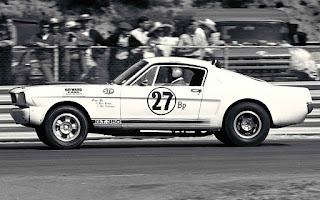 Only 521 street-legal GT-350’s and just 36 race-spec GT-350R’s were built in 1965, which is quite a small number when compared to the total Mustang production of 559,451 units. The 1965 GT-350 is truly an iconic vehicle and it’s no surprise why collectors are still hunting after them today.